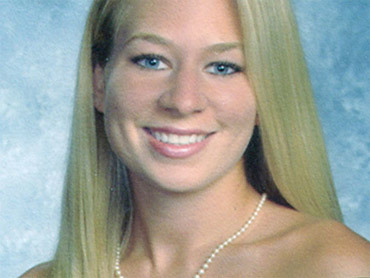 BIRMINGHAM, Ala. (CBS/WIAT/AP) Investigators could know as early as today whether the bone found on a beach in Aruba is the key to solving the five-year mystery of what happened to Natalee Holloway, according to a report. According to CNN, Dutch forensic experts are testing the piece of bone to determine whether the bone is human before comparing its DNA to that of Holloway. The Dutch newspaper De Telegraaf is reporting that what appears to be a human jawbone was found by tourists on the beach near the Phoenix Hotel. The site where the bone was found is near one of several locations mentioned by Joran van der Sloot in a series of interviews and "confessions" he later rescinded, reports CBS affiliate WIAT. De Telegraaf says Aruban Chief Prosecutor Peter Blanken is in the Netherlands but had no comment on the case. Although the age of the bone has not been determined there are reportedly intact teeth on the bone, reports CNN. Netherlands Forensic Institute spokeswoman Inge Oevering said prosecutors in Aruba will announce the results of the tests. She could not say how long the tests would take. Dutchman Joran van der Sloot is the last person seen with Holloway and is considered the prime suspect in her disappearance. Van der Sloot is in jail in Lima, Peru charged with killing Stephany Flores, a woman murdered five years to the day after Holloway's disappearance. Aruban prosecutors have said they lack evidence to charge van der Sloot in Holloway's death.